I have not read the other books in this series but this is a stand lone read you won’t be lost or feel like you have missed out of anything. This book was fantastic the clues where well done and there are several to keep you guessing and the characters were great. Antonio must have had an allergy and someone has hidden his meds. Willow and her friends Dora, Ashley and Hayley try and figure out what is going on. Willow had more than just a murder to solve she wants to know what is up with Loretta and Clay. Maybe they are more than just friends. I will be reading more books by this author. 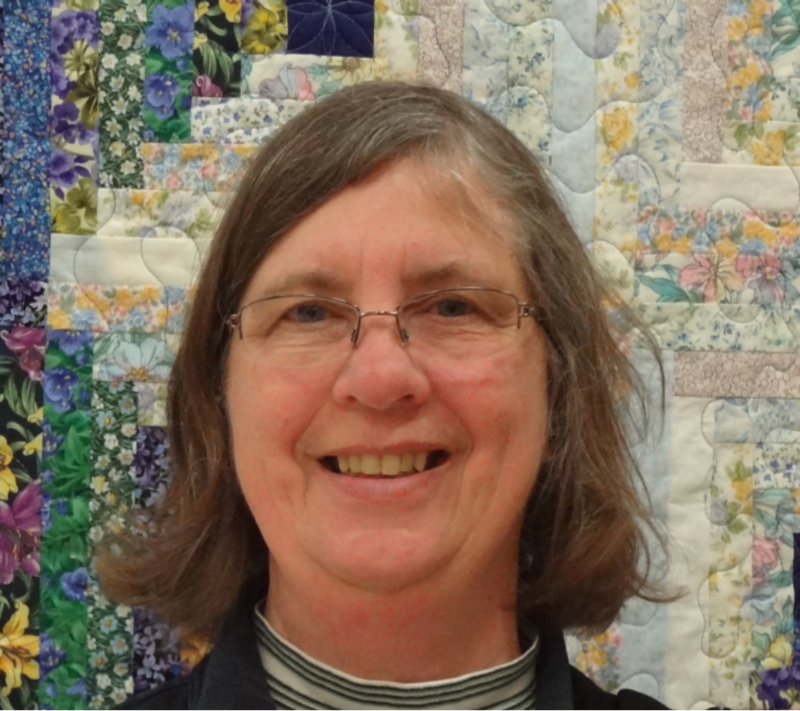 Janet Bolin enjoys sewing, machine embroidery, all sorts of other needlecrafts and handcrafts, reading, writing, and walking with her two dogs, who are strangely like the dogs in the Threadville Mysteries. 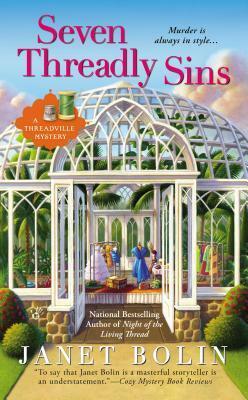 SEVEN THREADLY SINS, the fifth book in the Threadville Mystery Series, comes out May 5. Love this series and am really looking forward to the new book! I enjoy this series, too. I’d like to visit Threadville. Love reading cozy mysteries especially yours. Thanks for the giveaway. I’d love to win this for my mom because she loves this series! Thank you for the review. The Seven Thready Sins sounds delightful! I can’t wait to read it. Thank you for the giveaway.